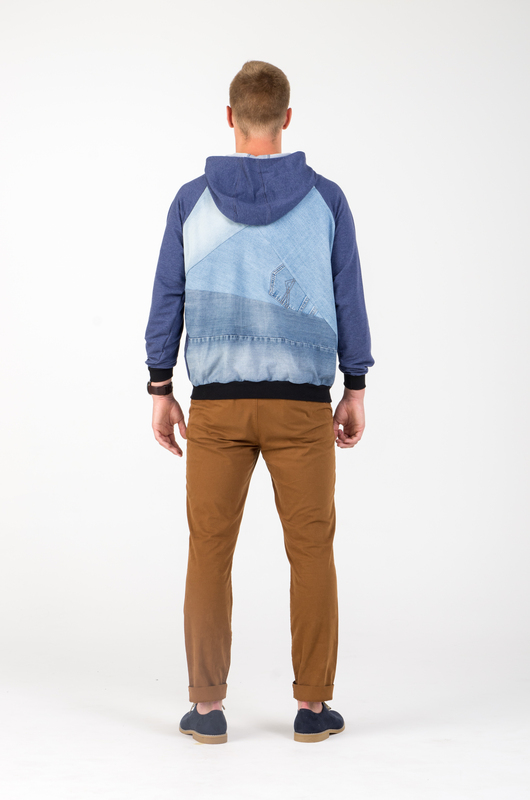 This comfortable hoodie will be your favorite piece. The middle parts are made of upcycled jeans, while the hood and the arms are of a soft leisure fabric. You can hide your hands in two side pockets. It will keep you warm during the autumn and winter days. 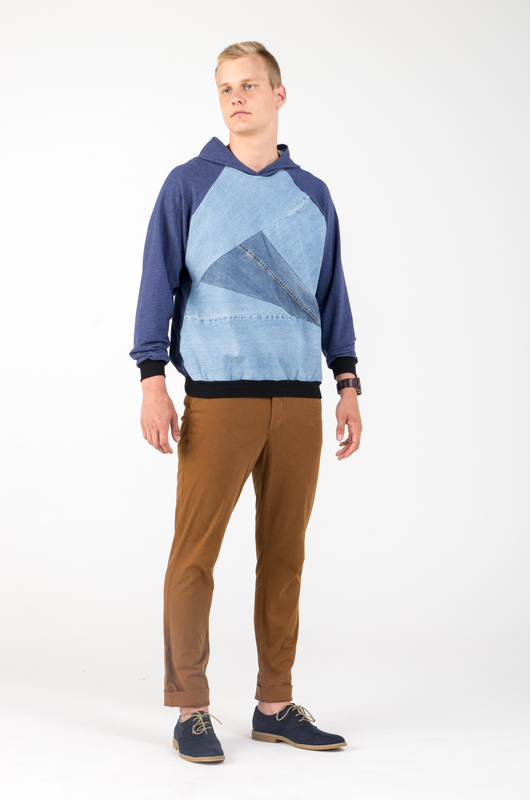 Cool&eco, for the conscious urban guy. 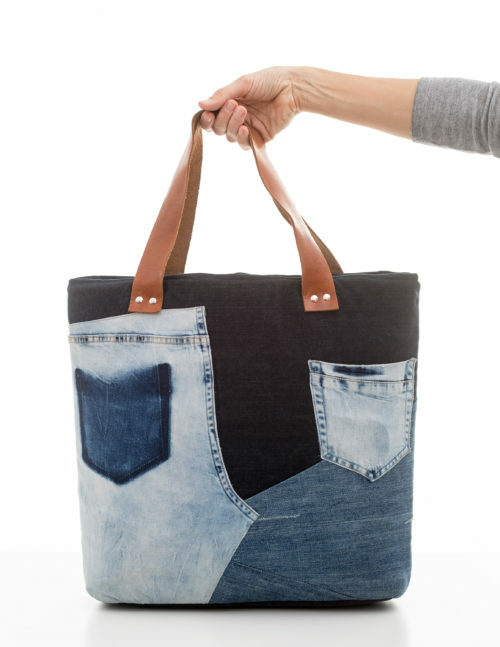 We use 50% upcycled denim and 50% new fabric to produce this item. All our upcycled materials are carefully selected – we only reuse what we would wear ourselves, too! Every piece is a bit different as we like to include seams, pockets, little sign that remind of the origin of the material. This adds a personal touch – you will never see the same item on anyone else!